Farmington Hills, MI, September 12, 2017 –(PR.com)– Encore Real Estate Investment Services, a Michigan based investment real estate brokerage firm, is pleased to announce the appointment of John Przybyla as President and COO. 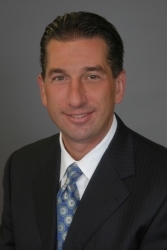 John is a highly accredited commercial real estate professional with more than 20 years of experience and a dedication to team leadership, sales training, business development and client service. He is a decisive leader with a proven track record in sales management, brokerage, property disposition and acquisition, asset valuation, marketing, underwriting, financing and investment sales. In his new role at Encore REIS, John will serve as a team leader for managing, mentoring, coaching & assisting Encore’s agents in growing their national business plans and skill set. Additionally, John will conduct all aspects of recruiting, hiring, training and retaining of Agents and Staff while implementing and overseeing operations and systems. Encore Ownership plans to utilize John’s extensive experience, superior communication and analytic skill sets in a consultative role in implementing strategies to grow the company. In the last 8 years alone John has overseen and managed an office of 70+ agents that did over 2,000 transaction totaling north of Six Billion Dollars. "We sat down and identified what our vision was for this position and it became very apparent the talent pool for this quality of experience and leadership within our industry was very small so we did what outstanding brokers do and got after it," said Co-founder Ryan Vinco “John was our guy, we found out he was in the market and made it happen,” added Co-Founder Deno Bistolarides. Prior to joining Encore REIS, John enjoyed 17 years of success at Marcus & Millichap where he was hired in 1999 and was named Regional Manager of the Newport Beach office and Vice President. In 2007 John became First Vice President and Regional Manager of the Marcus & Millichap Downtown Chicago Office through 2016 where he oversaw a top producing office of 70+ agents. Prior to joining Marcus & Millichap John spent 9 years with Sperry Van Ness in California, as a Sales Broker and as Sales Manager in Phoenix, Arizona. John is an avid sports fan and received full athletic scholarships for Baseball and Basketball at the University of St. Francis, Joliet, Illinois. He and his wife, Donna, are currently relocating from Chicago, IL to Birmingham, Michigan as their new home. Encore Real Estate Investment Services is dedicated to assisting clients in the acquisition and disposition of net leased and multi-tenant retail properties across the United States. We provide advisory and brokerage expertise with the highest level of commitment and attention to detail, which ensures a higher assurance of closing and a faster turnaround time as each client is assisted and advised on strategic exit and entrance strategies aimed at achieving their investment goals. Led by Principals Brandon Hanna, Ryan Vinco and Deno Bistolarides, our team of distinguished brokers has evaluated, listed, sold and marketed over $5 Billion dollars’ worth of investment real estate nationally, totaling over 700 transactions. We have a combined track record of investment real estate sales experience spanning 50 years. Through this experience, we continue to execute transactions on behalf of some of the most prominent developers, institutions, and private investors in the industry. As such, we continue to build long-term relationships with the leaders in the investment community and grow our global database of investors and developers, which enables us to provide our clients with real estate investment services that are unmatched in the industry. We are results oriented – our advisors all have a shared vision of excellence and a commitment to ensuring we are meeting our client’s needs above all else.